Holidays are just coming closer and closer, so for you ladies here are top makeup trends from New York Fashion Week to sparkle these holidays. Christmas celebrations and family get togethers are around the corner again, and this is the time to try some latest makeup techniques to get a dazzling effect this party season. NYFW presented strong eyebrow trend this year. To create an illusion of strong eyebrow outline your brows and run a pencil. Be careful not to over do this and use a color that is similar to your natural brow color. 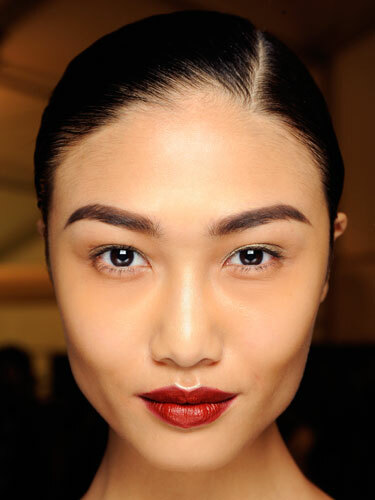 This will enhance your overall face shape. If you want to achieve a luminous glowing look try shimmery and metallic eye shadows and cat or feline eyeliner are back again. 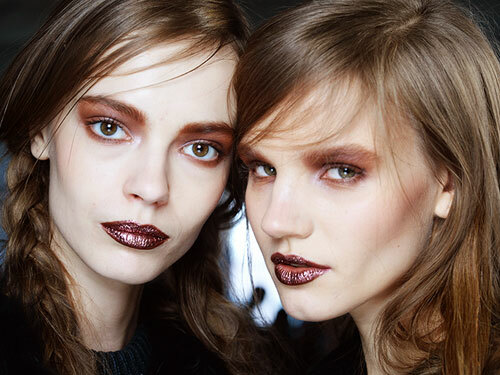 Smokey eyes, glitter and gold, purple, red and berry tones are the trend seen at NYFW so don’t be afraid to embrace this bold look this winter/fall. 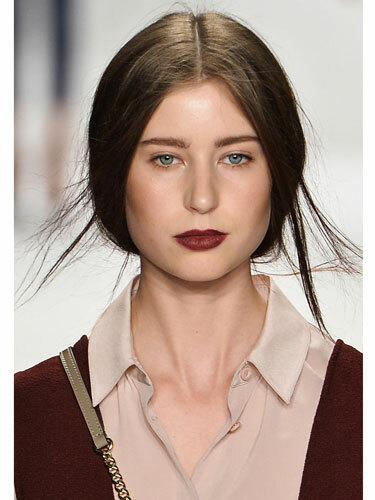 Try bright red, deep burgundy, dark wine lip colors to pop this winter/fall.